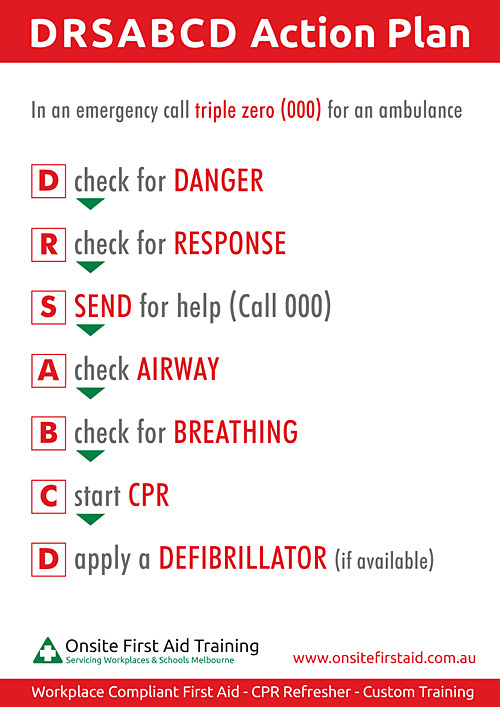 The DRSABCD Action Plan is an important part of assessing whether a patient has any life-threatening conditions and if any first aid is necessary. Download our DRSABCD Action plan in PDF format. Print this out and place it in an obvious position in your workplace.